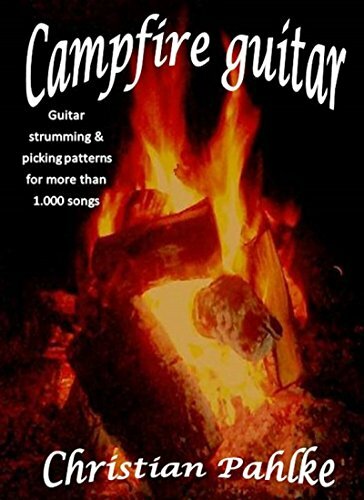 Author, Christian Pahlke claims to show you the easiest way to play fantastic strumming patterns on guitar. He claims to know how it feels when you have a song which you would like to sing but you have no rhythm for – and importantly he offers the solution to fix this. The author is clearly an experienced guitarist and teacher and one who has some interesting ideas that when taught in person would no doubt help many beginners. I found it interesting to read the viewpoint of someone who is a more old school strummer, (one who clearly enjoys the alternating bass style of strumming). The author shares some good insights into strumming and gives some useful pointers for those looking to evolve their strumming skills. Is there an audio cd and is it any good? No, and this is a huge loss for a book like this (as explained below). What I don`t like about the book? Unless you are an experienced musician who can read rhythm, you have to hear how the strum patterns should sound. This goes for every strum pattern, melody, riff or whatever. Any time someone talks about rhythm but offers no audio explanation, you are best off walking away and finding a resource that does offer some audio so you can hear the rhythm. In this digital day and age, when recording and uploading audio is easy, there is no reason not to do so! Apart from the above, the book is also a bit sloppy in terms of formatting and spelling. The formatting is a big one as there is some good information in this book but it is not that easy to digest or go back to when in need of refreshing. The book is almost like a rough draft really. With more time and effort this could have been a really good book but instead, it is a disappointment. This is a real shame as the author clearly has some great ideas but due to a lack of audio, they won`t make much sense to most readers. 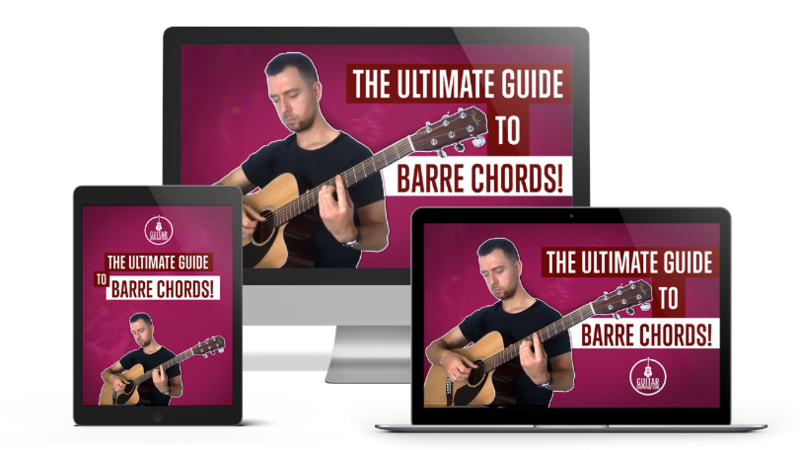 The Ultimate Guide To Barre Chords… Out Now! …The most practical, detailed and fun course on playing barre chords you will find anywhere!